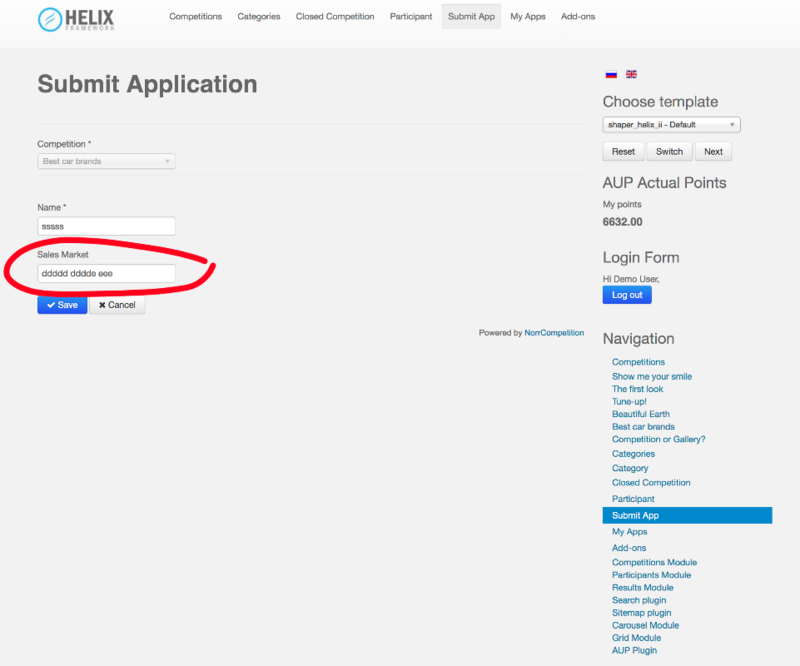 After the member creates his application and uploads the images and fills the fields, any post editing of fields cannot be saved, while it can be save from backend even when all permissions are allowed. OK, will email you soon. I have been examined your site and could not reproduce the issue you have reported. I created a new participant "Gulcan" which was approved automatically. Then I proceeded to My photos and edited the name to "Gulcan 123". It works. Could you, please, provide me more information what steps should I do to get the issue? Last edit: 1 year 1 month ago by Eugene. 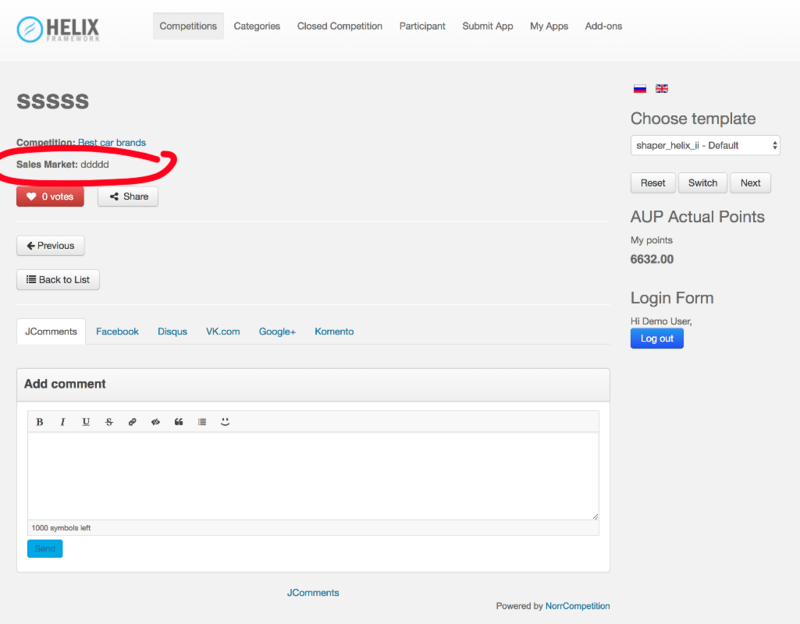 Great, now I added 2 fields to this competition, and edited your application, but it did not save the values. You can check it again. I am sorry, but I still cannot reproduce the issue... I logged in to front-end and can change fields. Can you try to reproduce this issue using credentials you have provided to us, please? What browser are you using? I found also the error I'm talking about in your demo. Try to add an app and then try to edit any field other than the title, it will not save the changes. Check attached screenshots. I found that it saves only with Joomla default template before you install any new template, I tried 3 different themes, Flex, Helix II and JSN, they all gave same error. Even when you uninstall the new theme, the problem remains. This bug is very critical and needs your attention. I use Chrome and Safari on iMac. Thanks for the explanation. I did not notice the changes doesn't appear on participant's page and in back-end too. I could reproduce the issue now and it is taken into work.